My Name is Rob Furby and I’m the midlands regional committee Chair Person. I took on the role in 2017 following a few years on the committee in a variety of different roles. My background is predominantly Adult Critical Care. I qualified from Sheffield University and I came to Nottingham in 2010 where I initially worked as a staff nurse on ICU before a promotion to Clinical Nurse Educator in 2014. Alongside my educator responsibilities, I am the Lead Nurse for medical devices for our service. Along with my passion for education and development of staff within critical care I am also an aspiring academic. I am currently completing an MSci with a view to take my research to doctoral level study. My name is Katie and I took on the role of treasurer for the Midlands committee in 2015. After qualifying in 2014 I held a staff nurse post on Critical Care in Nottingham for 4 years. I then worked as an agency nurse in ICUs across London for 6 months and now have a project role back in Nottingham. During my time there I completed both a secondment to an acute medical unit and an in-house rotation programme to the other Adult Critical Care areas in the city. I have interests in uses of technology within healthcare and palliative care within a critical care setting. I had the opportunity to present my dissertation results (as a short talk) at the BACCN conference in 2015 and at the Mid-Trent Critical Care Network conference (as a poster) the same year. Hello, my name is Daniel. I qualified as a nurse in 2015 via a postgraduate-entry course, and am presently working as a Staff Nurse in Critical Care at Nottingham University Hospitals. Entering critical care in another trust, as a newly-qualified nurse, was a challenging and frustrating experience for me. That all changed when I attended the BACCN national conference. Sharing and exploring points of view with other critical care nurses, I came to truly enjoy our speciality. I joined the BACCN Midlands regional committee with the hope of kindling that enjoyment in others. My name is Lovely (I always try to live up to my name) and I am a Clinical Nurse Educator in Adult Critical Care at Nottingham University Hospitals. I have worked in Critical Care since 2007 in a variety of roles including a Staff Nurse, Rehabilitation After Critical Illness Nurse, Deputy Sister and Practice Education Support. I am passionate about developing future nurses to be both competent and compassionate. I support the BACCN’s agenda of providing a national voice to shape the strategy for critical care nursing and this is an excellent avenue for me to network with other nurses around the country. I am a firm believer of staying true to one’s values and beliefs. Hello, my name is Debbie. I am currently in a dual role of medical devices educator and staff nurse on adult critical care at NUH. I qualified in 2003 and started my nursing career on Emergency Medical Admissions. I spent 3.5 years learning my trade before a new challenge came to me in the form of Critical Care. I have been in critical care for nearly 11 years. I have spent most of my time there as a band 5 nurse. My main interests and link roles are around resuscitation. I am passionate about good, patient care (and immaculate charting!). 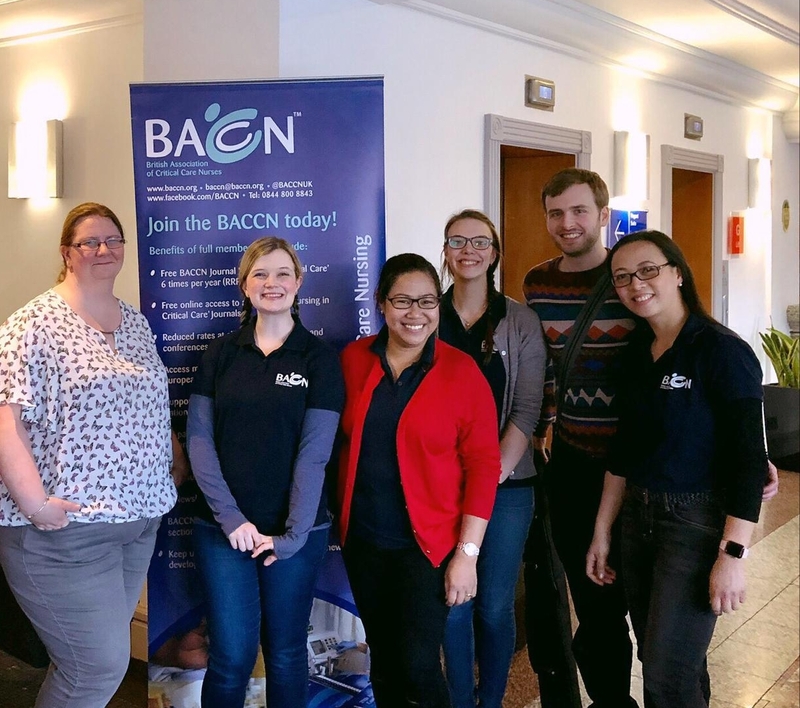 I am relatively new to BACCN and hope that I can help and learn from other members to continue to give our patients the best care possible. My name is Rebecca and I am Education and Practice Development Sister on Critical Care at Leicester Royal Infirmary. I qualified from De Montfort University in 1998 and completed my 'ITU Course' there in 2005. I have been working in Critical Care in Leicester for 15 years. I have been working in Critical Care Education for 5 years and enjoy helping staff to develop as Critical Care Nurses. Hello, my name is Samara. I joined the BACCN Midlands Regional Committee in 2018. I work on Adult Critical Care at the Leicester Royal Infirmary and have worked here since I qualified in 2015 from De Montfort University, Leicester, becoming Deputy Sister in 2019. I also completed my Acute and Critical care modules at DMU in 2018. I really enjoy working in Critical Care and I am proud to be a Critical Care nurse. I am particularly passionate about critical care patient diaries and I am one of the diary link nurses on my unit. My name is Marian Pablo and I have worked in Adult Intensive Care Unit since day one of my nursing career back in Philippines and I have been working for several years now in Nottingham University Hospitals, Critical Care Department. As one of Nottingham University Hospitals’ MAGNET advocate, I work along with the multi-disciplinary team towards our goal of getting a seal of approval from the American Nurses Credentialing Centre in order for our very own Nottingham University Hospitals to be the first ever hospital in the country to be nationally & internationally renowned for exceptional standards of quality nursing care. As one of the regional member, joining the BACCN committee helps me build a good relationship with skilled & knowledgeable professionals in the region. What I would learn from the team will translate into my professional & personal development that will give me the opportunity to serve at a greater level and contribute to the growth and future success of the organisation.